Musculoskeletal injuries and disorders are among the most common injuries at Massachusetts workplaces. They are often the result of repetitive cumulative stress, but they can also arise out of a sudden trauma. A worker that has to bend and stoop repeatedly over a long period are more likely to suffer a musculoskeletal injury. In some cases, musculoskeletal injuries lead to more permanent and painful injuries. Employers can reduce these types of injuries by training workers to perform their tasks without straining certain muscles to excess and by encouraging workers to take frequent breaks. If you suffer a musculoskeletal injury at your Boston workplace, the attorneys of Pulgini & Norton may be able to help you recover workers' compensation benefits. A huge percentage of workers' compensation claims involve musculoskeletal injuries, particularly lower back injuries. 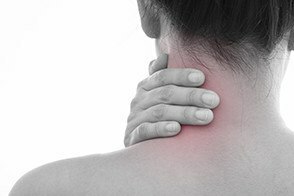 Insurers must commonly pay temporary total incapacity benefits or partial incapacity benefits in connection with musculoskeletal injuries. Temporary total incapacity benefits are for those workers that cannot work for six or more days. These can be partial or full days. Partial incapacity benefits are for workers who can still work, but will lose part of their ability to earn because of the injury; for example, a musculoskeletal injury that requires you to take a lower paying job or work fewer hours is compensable with partial incapacity benefits. Temporary total incapacity benefits, which are available for at most 156 weeks, are calculated by taking 60% of your gross average weekly wage. The average weekly wage is determined by looking at your gross earnings divided by the number of weeks you worked at your job. Partial incapacity benefits is limited to 3/4 of a worker's weekly total temporary benefits. You can receive them for at most 260 weeks. What if you are totally unable to do any work because of your musculoskeletal injuries? You can apply for permanent benefits. These benefits are calculated as 2/3 of your average weekly wage up to the maximum, based on the 52 weeks before your injury. For permanent injuries, you can also recover annual cost-of-living adjustments for the length of time you are disabled. Anybody with a significant musculoskeletal injury should seek medical care. If the musculoskeletal injury is covered by workers' compensation, you can receive medical treatment benefits, as well as prescription reimbursements and mileage reimbursement for your travel to and from doctor's appointments. For the first visit, your employer has the right to select a healthcare provider within its preferred provider arrangement. After that, you can choose your own healthcare provider. The insurer can periodically require you see to the doctor of its choice to evaluate your injuries. Medical benefits are available as long as these are required because of your injury. If you sustain significant workplace injuries because of your Boston job, you should retain an experienced workers' compensation attorney to secure benefits. It is not uncommon for insurers to deny claims for severe musculoskeletal injuries, or to ask the Department of Industrial Accidents to reduce the amount that it is required to pay. The attorneys of Pulgini & Norton represent workers injured on the job in Somerville, Cambridge, and Medford, and can help you recover the benefits to which you are entitled. Call us at 781-843-2200 or contact us via our online form for a consultation.